Do you need braces but are afraid of how much they will cost? Braces are never cheap, but even without dental insurance there are ways you can afford this treatment at an orthodontist without breaking the bank. The trick is to understand your options—both with the types of braces you can get and the insurance alternatives that can help. How Much Do Braces Cost Without Insurance? The cost of braces without insurance, on average, is about $6,000. With a discount dental plan, the cost is about $5,000. This cost will vary depending on the type of braces you need or want and where you live in the U.S.
Why Do I Need to Get Braces? Overbite: when the upper front teeth extend out over the lower front teeth. This can sometimes cause the lower front teeth to bite into the roof of a person’s mouth. Crossbite: in which the upper teeth sit inside the lower teeth. This could cause tooth stratification and misaligned jaw growth. Teeth protrusion: when the upper front teeth protrude out too far over the lower teeth. Crowding: To create more space in a child’s mouth, dentists will recommend braces for kids whose teeth are crowded and do not have enough room to erupt from the gums. However, sometimes if crowding was never taken care of when a person was a child, they’ll need to have braces put in to make more space. Tooth removal is sometimes necessary, but sometimes expansion is all that’s needed. Spacing problems: Spacing can be a result of missing teeth but they can also be simply an aesthetic issue. Dental midlines misalignment: Sometimes a person’s back bite does not match the top bite, as it should. This can negatively affect the jaw and proper dental function. Talk to your orthodontist about the options listed and which ones you might be eligible for. The cost of each type of braces does vary so make sure you discuss your options with your orthodontist. Metal wired braces: You’re probably most familiar with metal wired braces. These are the most common type of braces, and most traditional. Metal wired braces are made out of stainless steel. The brackets are fixed, or bonded, onto the teeth and the wire is secured with elastic ties made from rubber. Ceramic wired braces: These are clear braces. They are an alternative to the metal wired braces. The brackets are made to match the color of teeth and use clear elastic ties. Although convenient, cosmetically, these braces do tend to break more easily compared to metal braces. 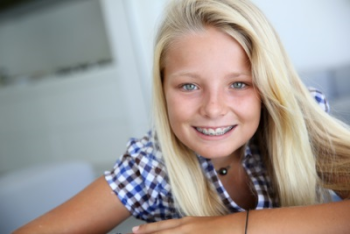 Lingual braces: These braces are placed on the backside (lingual surface) of the teeth and are not easily seen. Lingual braces also have an added cosmetic benefit, but it usually lengthens the time of treatment. Other metal braces: For people who have nickel allergies, gold-plated stainless steel or titanium brackets can be used instead. Clear braces: More commonly known as Invisalign, these braces are custom-made out of clear plastic without brackets or wires sitting on the teeth. However, not everyone is eligible for these. It all depends on the condition of your mouth and what type of work is needed to correct the problem. Additionally, some plans do not offer discounts on Invisalign because they are considered a cosmetic change. If you have no dental insurance and can’t afford to pay the prices listed above, consider using a discount dental plan, such as the Careington 500 Series Dental Plan. The Careington 500 Plan is nationwide, but check out the savings for traditional metal braces and ceramic braces an individual living in California, New York or Texas can receive with this plan—an affordable alternative to dental insurance. Typically, orthodontic coverage through a traditional insurance is only available for dependent children. However, with our dental plans, coverage is available for adults and children. Whether you need to straighten your teeth or align your bite, now you can confidently go to your dentist and orthodontist with the knowledge of what’s going on with your dental health and what you can expect in the coming months. If you have no dental insurance, think about the many resources that are available to you, like discount dental plans. Searching online for your many options and talking to your dentist can provide you alternatives and help so that paying for braces is more affordable. Here’s how to search for an orthodontist and what questions you should ask them. Discover the differences & learn how they affect you. Know how to care for children’s teeth at every age. Need cheap wisdom teeth removal for your child? Here are your options.